Communication is the heart of translation and interpreting for different language. And professional translators are well accustomed and qualified to providing this meaningful service as their job. But what do you do when you’re doing your best to communicate with a new friend from a different country with a different first language to you and you’re just stuck for one or two words? Smart phones are one of the handiest tools for this and there are numerous dictionary and translation apps available. 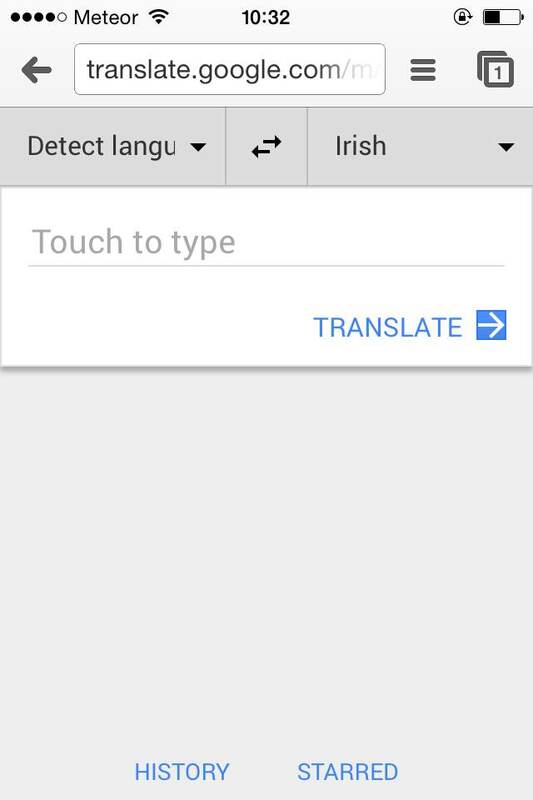 But our favourite by far at the moment, is simple Google’s Translate feature, which they’ve recently revamped for use on mobile in your browser. Rather than downloading an app and finding one that’s just right for an Android, Windows Phone or iPhone, simply type ‘Translate.Google.com’ into your mobile browser – ie. Safari, Chrome etc. and you’ll be greeted with a neat little mobile interface and plenty of languages to choose from. It works fast and well and it’s perfect even for when you just want to wish a ‘Good Morning’ or a ‘Buenos Noches’ to someone in their native language in a text message. For corporate translation, certified translation of documents etc. however, we still recommend going to the professionals. Contact instantranslation.ie for quotes or queries for more official translating.